Powerful Threat Detection for the Cloud in the Cloud. AlienVault® USM Anywhere™ is a cloud-based security management platform that accelerates and simplifies threat detection, incident response, and compliance management for your on-premises, cloud, and hybrid cloud environments. USM Anywhere delivers support for Amazon Web Services, Microsoft Azure Cloud, Microsoft Hyper-V, and VMWare ESXi -- providing you a comprehensive solution for managing security across your public and private cloud infrastructure. Download the datasheet to learn more about managing cloud security! USM Anywhere delivers everything you need for effective threat detection, incident response, and compliance management in a unified platform. By combining multiple essential security capabilities, USM Anywhere eliminates the need to purchase, integrate, and manage multiple security point solutions. This saves you significant time, money, and headaches in procurement and deployment as well as daily management. 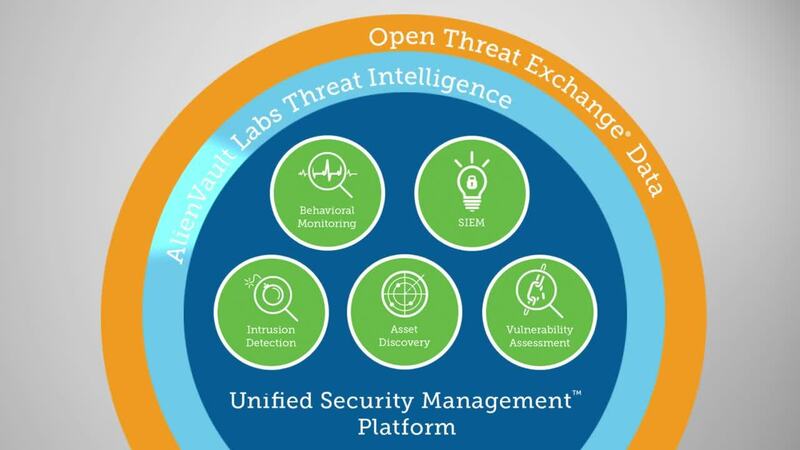 AlienVault USM gives you a single pane of glass from which you can monitor, investigate, and respond to threats in your environment, easily and efficiently. It provides rich threat context for every alarm, providing immediate detail on the assets, vulnerabilities, methods, and events involved in a security incident, so you can investigate and respond faster without having to manually correlate data from multiple security products. We’ve Got a Sensor for That. Traditional security solutions often lack the ability to monitor cloud-specific logs and events. In order to stay on top of cloud security issues, it’s important to understand what activities are taking place in your cloud environment to quickly identify malicious activity.